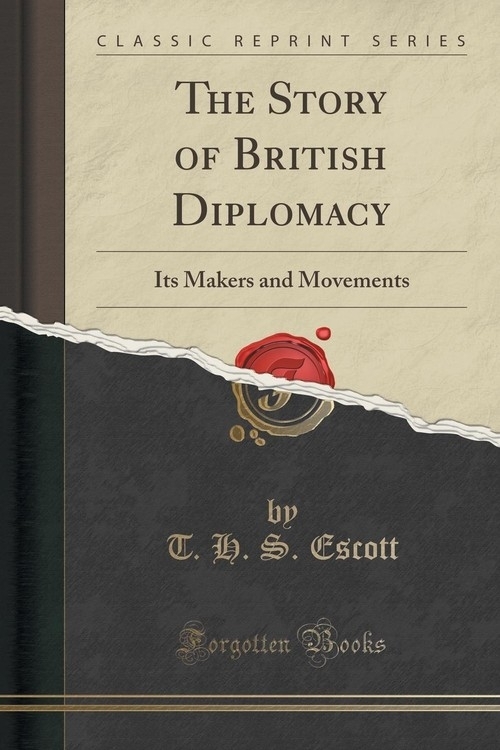 Opis: The Story of British Diplomacy - Escott T. H. S.
A history of English diplomacy, that attempted the revelation of Foreign Office secrets, might resolve itself into a series of imaginative conjectures, sure to prove often most unhistoric and generally unedifying. The less ambitious object of this work is systematically to disentangle the thread of international narrative from the general events of contemporary history. Those events have been entirely avoided, except when they formed a part of the particular subject in hand. When the notion first suggested itself to me some years ago, I was in the habit, as a writer for the public press, of seeing several of those high in authority at the Foreign Office or in the diplomatic service. Among these were Lords Granville, Kimberley and Salisbury. The first of these was kind enough to recall for my instruction an oral account of the course of our diplomacy he had himself received, when first going to the Foreign Office in 1851, from his predecessor, Lord Palmerston. That included a summary of our foreign relations, from a date earlier than that of the Foreign Office itself - indeed from the year 1714. Szczegóły: The Story of British Diplomacy - Escott T. H. S.
Autor: Escott T. H. S.
Recenzje: The Story of British Diplomacy - Escott T. H. S.